Oktoberfest screams beer and meat, does it not? It's time to walk through Trinity Bellwoods, see the fall colours and visit Otto's. The sign is not so obvious, so make sure you watch out for it! Seating consists of long tables as well as bar seating. It's an airy space with large windows., but really loud, even when it's not a full house! 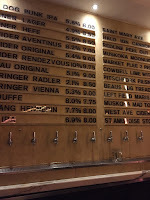 We settled in and took a look at the delightful beer menu. 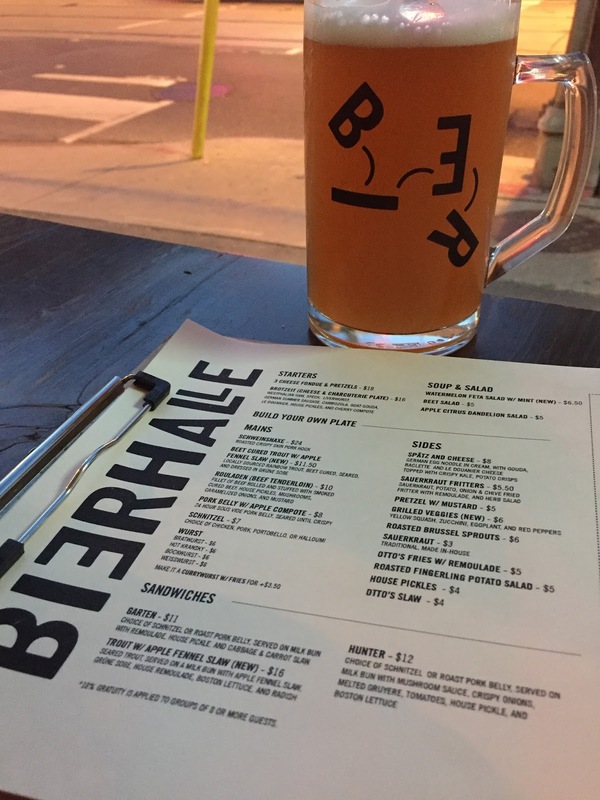 They offer several local brews and well as German. 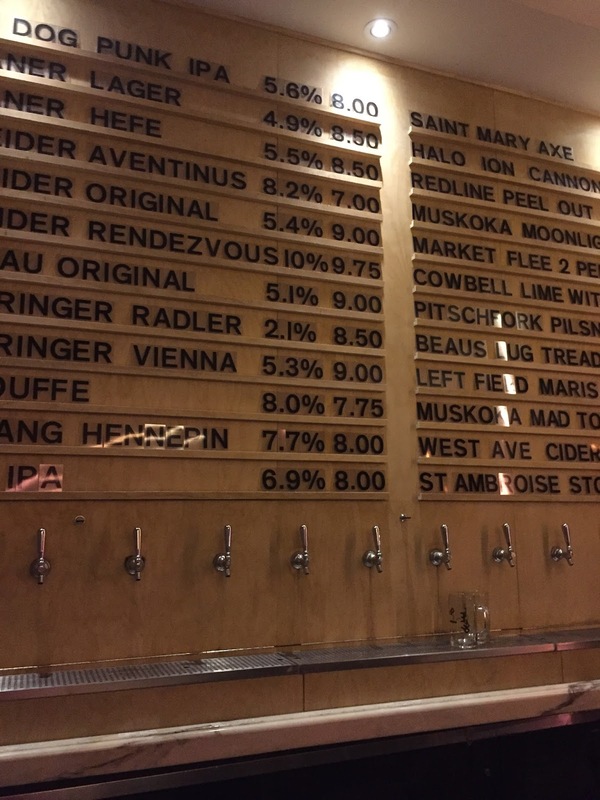 Since we're in Toronto AND can have these delightful local beers any time we want, it's time to cut the cord and order something new. We stuck with the German beer, but it wasn't easy! My friend chose the Schneiders Original and I had the Paulaner Hefe-Weissbier. Both are solid wheat beers. The Paulaner smelled of citrus and cloves; tasted smooth, a little sweet, a little malt with a clean finish. Tasty! 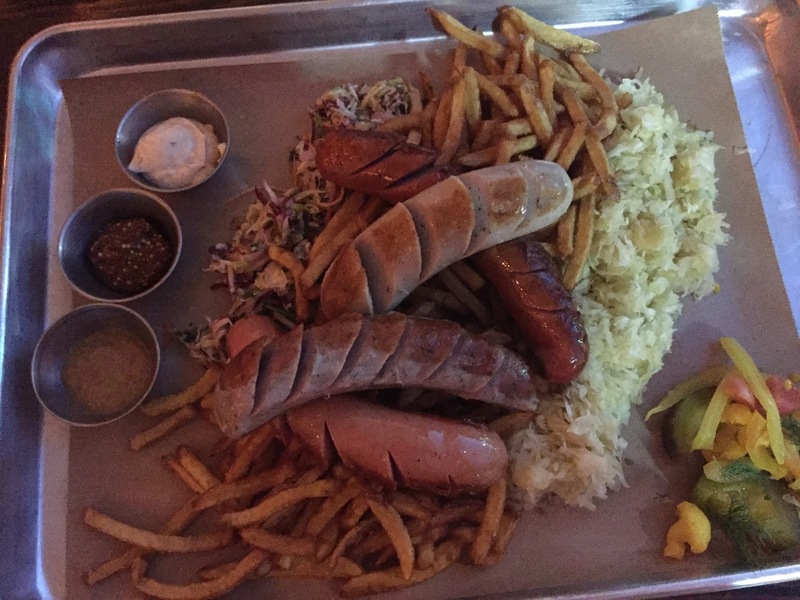 There were many meaty choices on the menu, so we grabbed the Oktoberfest Platter. It was piled high with bratwurst, weisswurst, hot kransky and bockwurst. There was also fries, coleslaw and housemade pickles. It was the wurst! (Terrible pun, I know!) I'm not a spicy gal, but that hot kransky was freaking hot! Glad I had a cold beer in hand! The service was great. They understand the meaty and beery needs of their patrons and serve them well! 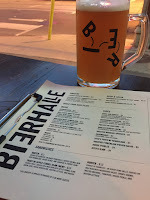 I'd love to try more German beers and platters. That pork belly is calling my name. Ahhh, must...stop...reading...menu. It's calling me; I must return!